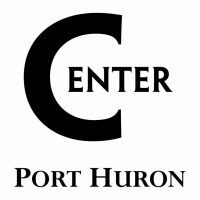 A non-profit organization that provides health and community outreach services is finding itself at the center of a debate regarding zoning regulations in Port Huron. The Center of Port Huron, located at the campus of the First Congregational Church, is asking the city to rezone their property in the 700 block of Court Street. Mayor pro tem Sherry Archibald Says the center has expanded outside the realm of what is allowed in a residential neighborhood. Some of the services offered by the Center include healthcare, counseling, and addiction recovery services, as well as a food bank and kitchen. Archibald says residents are worried that rezoning to a central business district could lead to further types of development in the neighborhood that is currently zoned for residential use only. A recommendation to rezone the parcel was tabled at last week’s Port Huron Planning Commission. The Mayor pro tem says council is continuing to gather input from all community members and is weighing all their options for the zoning of the parcel.